De Bary houses monumental workspace in the centre of Amsterdam. 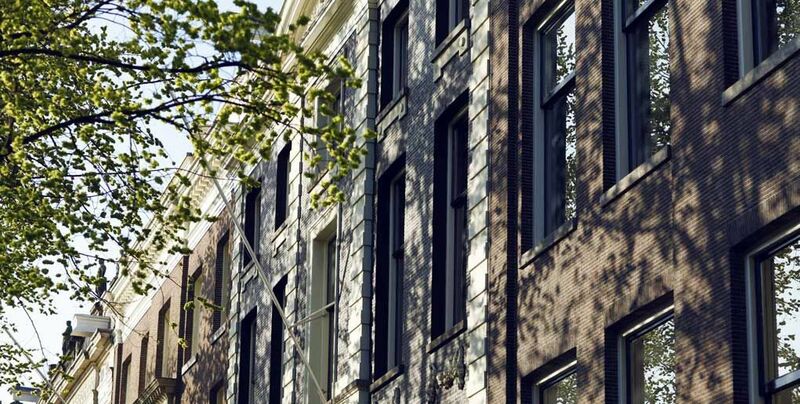 It comprises six recently renovated canal houses on the Herengrachts Gouden Bocht – between Leidsestraat and Spiegelstraat. With different sized office units, meeting rooms, a brasserie and a vast garden De Bary is bound to become a hot spot for entrepreneurs, their companies and independent professionals. 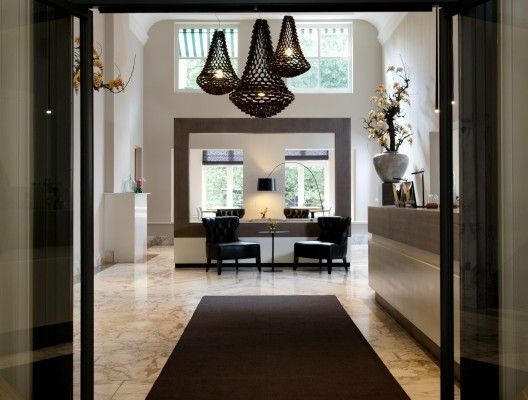 At De Bary, they find themselves in the inner city business district, while enjoying the hospitality, level of service and elegant luxury comparable to that of a five star hotel. The canal houses Herengracht 448-458 that together form De Bary have all had many different owners; until mr H. Albert De Bary bought them one-by-one and joined them together. Hence the present name of the complex. 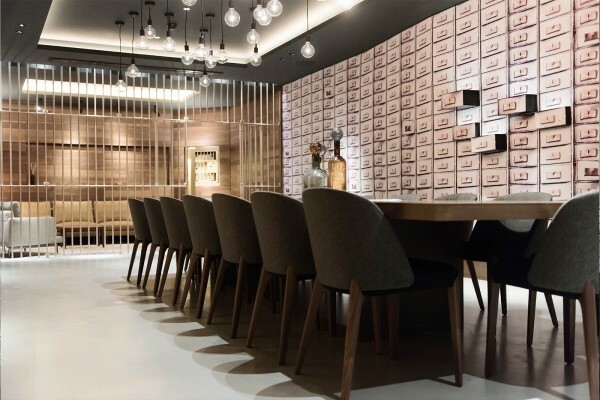 When looking at the multisided history of the buildings and the men and women that have worked and lived there, one constant comes to mind: an exceptional entrepreneurial spirit has always been present at this part of the Gouden Bocht. The canal houses Herengracht 448 – 458 were built during the Golden Age. Amsterdam was growing quickly from a prominent river town into the trading center of the world; the city needed to expand to facilitate its growing number of inhabitants. The city council had a plan designed: “De Vierde Uitleg”. The ring of canals was extended beyond the Amstel. Merchant families who had enough money to afford a double plot of land, bought one at Herengracht’s Gouden Bocht. Their wealth gained from trade was put to good use for structures of unrivalled finesse: architecture, ornaments and building materials were imported from all over the world. They created their own town palace that mirrored their financial and societal success. Gouden Bocht residents from later eras were often as wealthy as their predecessors. They had their homes refurbished according to the style of their time. The sober and formal style of Dutch classicism was thrown out the window and in came the French Louis XIV style with exuberant plaster moulding on the ceilings, wooden panelling and heavy marbling on the floors. 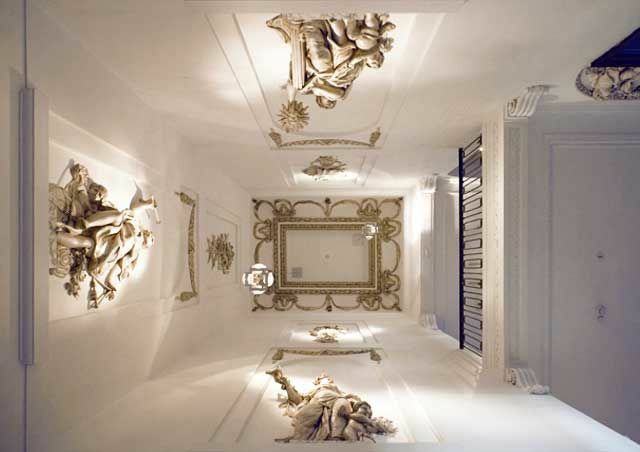 For this reason, few examples of the original seventeenth century interior architecture remain. The six canal houses that together form De Bary have their own separate history. In the 20th century these become intertwined. Between 1919 and 1965 the houses (no 448-458) were bought one-by-one by Handelsmaatschappij H. Albert De Bary & Co. This financial institution operated as the Dutch branch of Deutsche Bank and merged completely with DB in the 1980s. During its occupancy De Bary created passages between the buildings and a complex floorplan developed. The gardens were integrated into one, while the original 17th century garden house was used as a workshop. Also, in the following years, the buildings were extended to the back and on top. Herengracht Investments, the current owner, bought the Deutsche Bank complex in the year 2007. Project developer Óbidos renovated and reinvigorated the buildings and is responsible for the management. Presently, De Bary houses about 50 companies ensuring new entrepreneurial vigour, all eager to be part of the future. Behind the six original facades of the canal houses, you find an impressive complex of 8.500 renovated m2. De Bary has more than 45 office units all varying in size and ‘look & feel’. They range from elegant period rooms with oak panelling and richly decorated ceilings to large sturdy loft spaces with wooden beams – and everything in between. We offer short- and long-term contracts that are both flexible and scalable; your company’s growth in the (near) future can easily be facilitated. 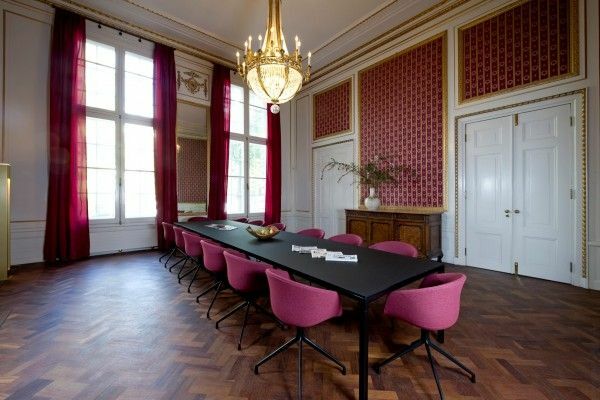 De Bary has several board- and meeting rooms that can be booked at affordable half-day rates. Some can also booked per hour. In line with our renovation philosophy and out of respect for its particular history we have designed and decorated each room differently. Prices of meeting rooms exclude VAT. VAT will be charged separately. Terms and conditions of De Bary apply. 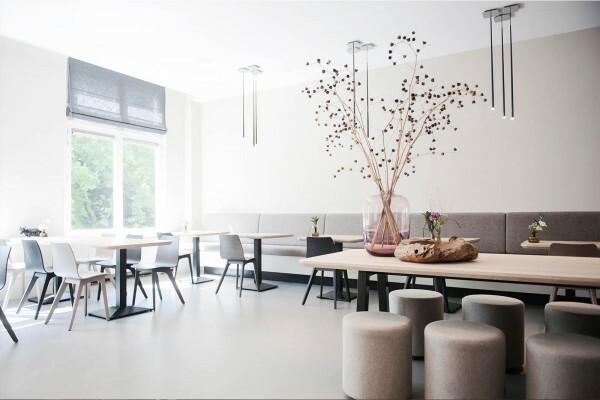 For €95 per month you can become a member of Businessclub De Bary, use the facilities and make the place your own. On weekdays from 09.00 – 18.00 Members can use the lobby and brasserie to receive guests and have coffee, lunch or dinner. A designated shared workspace can also be used. Furthermore Members get a 20% discount on the rental of the 5 meeting rooms. Need a high profile reputed address? For an additional €65 De Bary offers members a virtual office service. How do you benefit from membership? Whether you rent an office, a flex desk or are a member, you can choose from a wide range of services à la carte, ranging from mail processing, front office welcoming of your guest to catering. Of course you only pay for the services and facilities that you need. All of our services and facilities are scalable: you can change your package at any time to adapt to the changing needs of your business. Can’t see the service listed that you are looking for? – Just let us know! For convenient transportation during office hours you can use the Singaz bikes and electric scooters. Singaz is one of our members and together we offer easy and green transportation. High speed Internet and WIFI throughout the building. Our front desk can take care of all your printing. Our garden is so big that it offers enough space for some exercise. Twice a week a professional personal trainer is present to exercise with a small group of members. This can be expanded on demand. 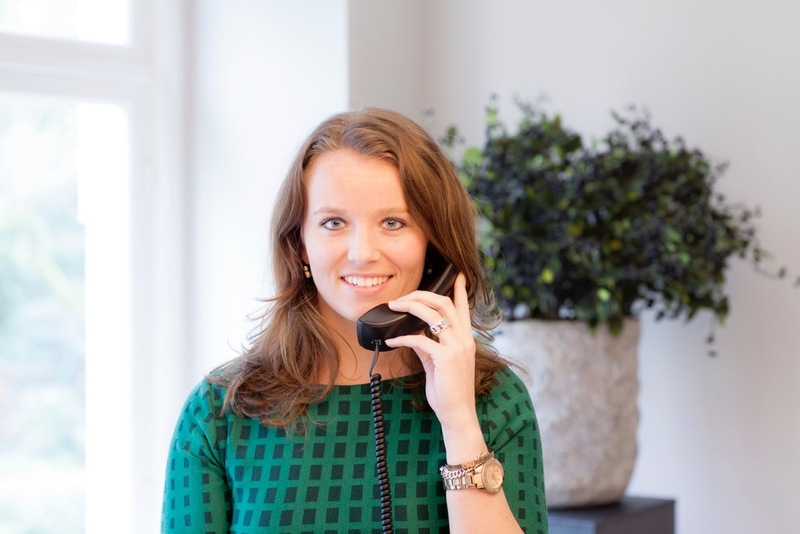 Members without an office wishing a registered business address at Herengracht can get their own mailbox. Our hosts take care of the mail processing. 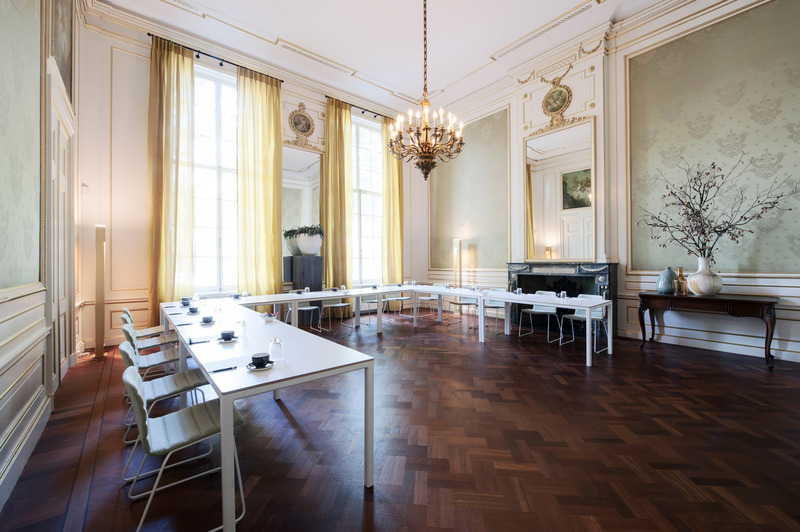 De Bary has several board – and meeting rooms that can be booked at affordable half-day rates. Some can also booked per hour. Each room has been designed and decorated differently, in accordance with its function and history. Flex workers can rent a locker to store their belongings. Food & drinks are regarded serious business at De Bary. You can count on our chef and his team to take good care of you. If you wish to have your food and beverages directly served to your desk or meeting room just contact the front desk. 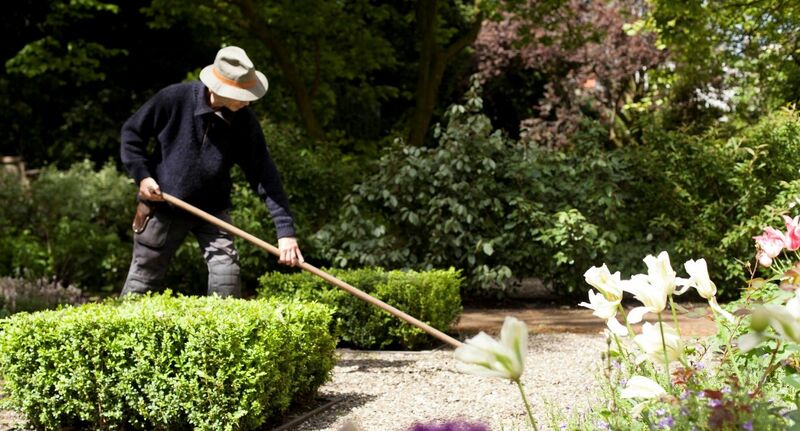 Tenants, members and guests of De Bary are free to use this hidden oasis as their very own private park and place to relax and get a breath of fresh air. Some of our tenants even use it for an early morning bootcamp, led by a professional trainer. As Wifi and shaded spots are available you can even try to get some work done. We realise we are really lucky to have such a great garden and to be able to share it with our tenants and members. In the back we have made some space for the beehives of Business4Bees. 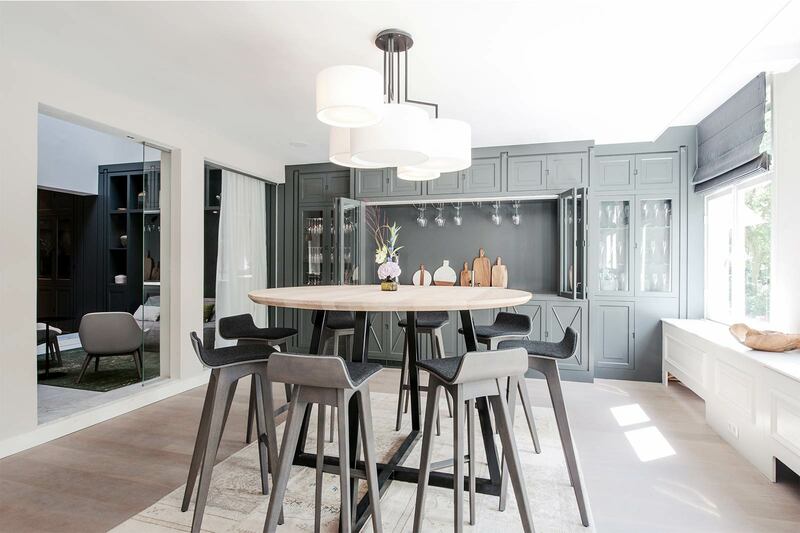 De Bary is developed and run by Óbidos, an independent property development and asset management company. Over the last decade, large financial institutions have left the old centre of Amsterdam. Smaller entrepreneurial companies in the meantime are moving in the opposite direction. They prefer to work right in the middle of the lively inner-city, with easy access to plenty of amenities. 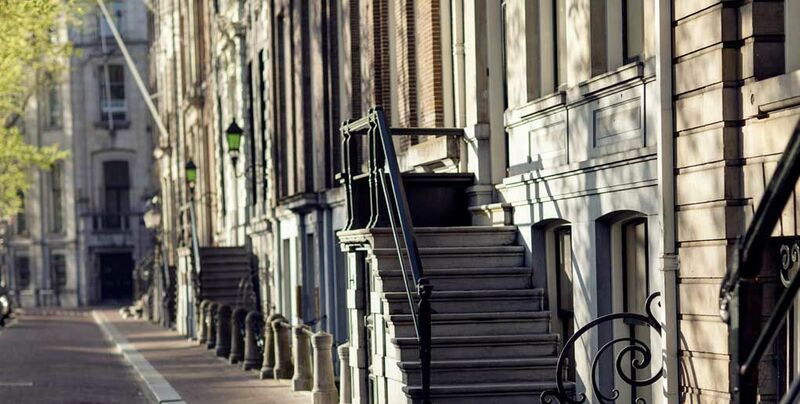 They prefer to be surrounded by historic beauty and close to everything Amsterdam has to offer. Representative office space with a certain level of class was not easy to find in the centre so far. 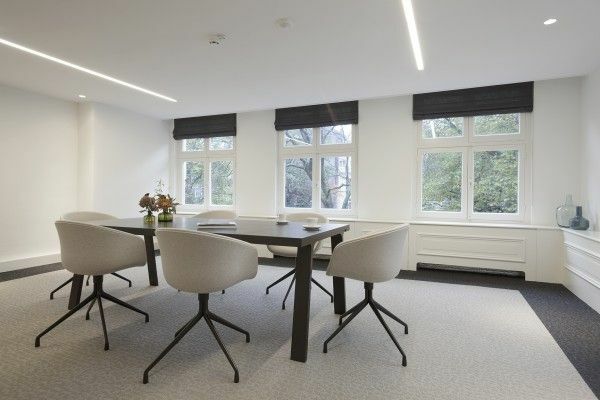 When the buildings of Deutsche Bank became available, Herengracht Investments together with Óbidos saw the possibilities and gladly seized the opportunity to fill this gap. If you wish to get a tour, check the availability of our meeting rooms, get to know the prices and package deals, please contact us by phone: +31 (0)20 – 240 30 00 or fill in the form. De Bary lies at the heart of central Amsterdam. 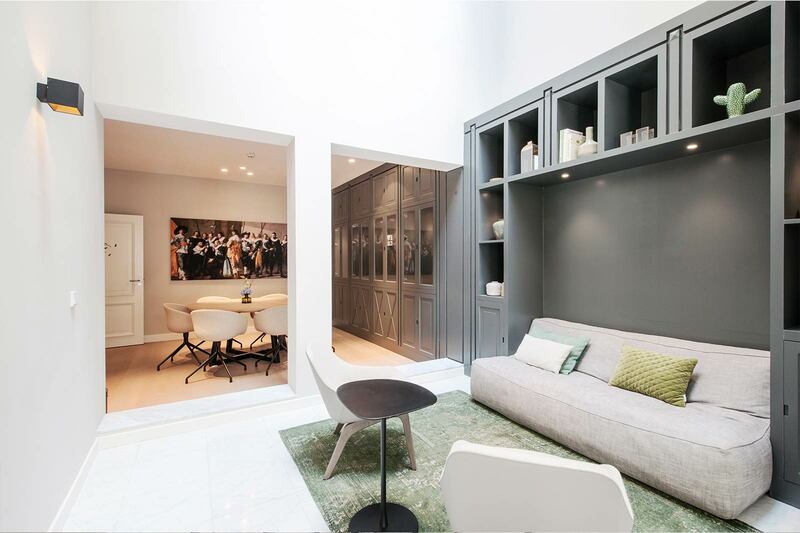 Herengracht 450 is situated between Leidsestraat en Vijzelstraat and can easily be reached by bike and public transport. Arriving by train at Central Station, take tram 1, 2, 5; from station Amsterdam Zuid, take tram 5. Get off at stop Koningsplein, walk towards Leidsestraat, take a left on Herengracht, walk east ways for 2 minutes. Since the first pole of the city was drilled into the soil, this part of the Herengracht has been at the heart of Amsterdam. And it still is: just step outside and feel the city – Rijksmuseum, antique dealers and galleries of Spiegelstraat, Koningsplein, plenty of restaurants... you can find everything at walking distance. De Bary is situated in the 'Gouden Bocht'. 17th century entrepreneurs built their splendorous city palaces at this part of the Herengracht. Over the centuries the canal houses were used as living quarters by majors and merchants, as well as offices by various prestigious companies. At De Bary you can still find the original grandeur of the past, now combined with functional design and modern facilities. De Bary is located in the city centre and can be reached easily by public transport or bike. However, if you prefer to come by car, several guarded car parks can be found at walking distance: “Keizersgracht”(Keizersgracht 481-485), “Prins & Keizer (Prinsengracht 927, hoek Vijzelstraat), “Geelvinck”(Singel 540, ingang Reguliersdwarsstraat tegenover 50), “De Hoofdstad” (Prinsengracht 540), Parking usually costs around €5,- an hour. Depending on the time it’s also quite possible to find a parking spot by the canal. This too costs €5, - per hour.